First, a story told is texts, chats, and blog posts is right up my alley. This is one of my favorite book formats (if done well) and I feel like I haven't read enough of them. Second, I've heard great things about Hannah Moskowitz (I have other books by her on my TBR list). 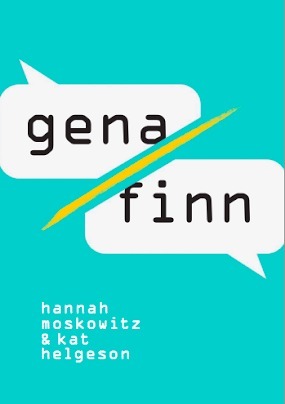 Third and most importantly, Gena/Finn sounds pretty interesting. I can't wait to get my hands on this one. Also, check out a chance to win a book of your choice here - you can pick a 2016 preorder or any backlist title!